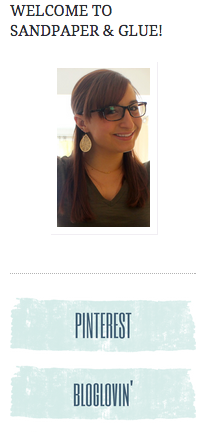 Last week I posted in an “about me” style post that I updated my headshot and blog buttons. I kept the layout and header for the site the same because I really like them, but the headshot was important because I felt like the old one wasn’t super reflective of me. I made the buttons in Canva, a free graphic design site that I really like. My old buttons were just symbols but there’s SO MANY social media sites out there now that I thought it would be easier to just have the names of them there. And to self promote for a second- feel free to pop on over to that right side bar and follow me on Bloglovin or sign up for email notifications of new posts! I worked with Firmoo to get new glasses because I’ve had the same frames for like 10 years and it was getting stale- I love my new frames. Firmoo is super inexpensive, really good quality, with fast shipping. I uploaded my prescription to their site, uploaded my picture so I could virtually try glasses on, then ordered and they were here in a week ($10 for expedited shipping, and the costs are so low on the frames that it’s totally worth it). Thanks for the specs, Firmoo! I’m loving them, and Dutch finds them quite lickable. At first I was going to bring a bunch of cute dresses, but honestly that’s not really me. So I’m going to pack 2 cute dress outfits for the (themed) part nights, then stick to jeans and tshirts. I am a jeans and tshirt kind of girl at heart, so I just got a few new ones at Target and called it a day. But I will be in my high heels everyday- at 5ft tall I sort of have to be (especially since my blog BFF is a giant ). sorry for the fuzzy picture, I nabbed it off Instagram. I posted my personalized canvas tote here, and hinted at Snap in that post too. There are tons of sponsors at the conference, which means tons of freebies, and I just wanted a big cute bag to carry all my stuff in. Whew! What am I missing guys??! And- if you’re going- let me know! I can’t wait to meet you! Thanks so much to Firmoo for the long overdue new specs! They did not at all require me to blog about them, I’m just genuinely impressed with the quality and customer services.